Before you get fired up and start calling for my head, notice I asked what’s great about him. I never said he wasn’t good. He’s a good, solid defenseman. I just don’t think he’s playing an out-of-his-mind brand of hockey where the interwebs should be buzzing about why he’s not in the lineup. Pouliot didn’t necessarily get called back up because he was ready. He was recalled in January when our defense corps had the depth of a kiddie pool. Letang was dealing with a hand injury, Dave Warsofsky was knocked on his head by referee Tim Peel, and Adam Clendening was just traded. He’s played well defensively, but that’s it. Not great. Not mind-blowing. He’s young and still has some developing to do. Ian Cole has earned his spot in the lineup and the Pens took a chance on plugging in Justin Schultz. That pair clicked at the same time the Pens went on a hot streak. When a team is on a roll and all the parts are moving in sync, what would the Pens have to gain by putting Pouliot in the lineup? People have talked about how he was playing well and wondered how will he get better if he’s sitting every game. It’s late March. We’re past the point in the season where you give the young guys some time to develop. 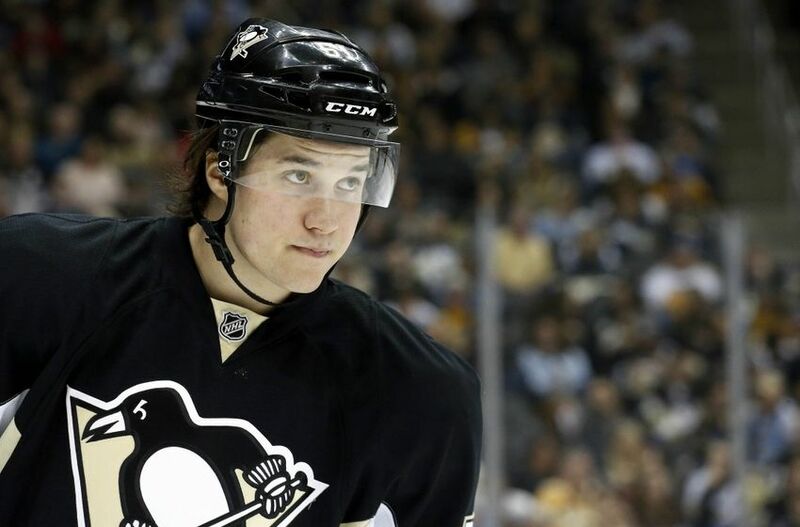 The Pens need players in the lineup who will make an impact immediately. It seems like fans are fixated on the potential of Pouliot rather than the way he’s playing right now. Again, I think Pouliot is a good player. Coach Sullivan has said he’s happy with his defense corps and Pouliot hasn’t done anything wrong. I believe him when he says that. Believe it or not, the Pens have an ideal defense situation. The Pens have some of the smaller defensemen in the league, so it’s good to have a couple of reliable guys on the bench in case of injuries. Ben Lovejoy recently said how he understands that the coaches have some tough lineup decisions to make right now. Remember, that's a good problem to have. If you can't see it you shouldn't be writing about hockey. And by the way, if you're going to write a column, say something. Don't be a contrarian for the sake of being one. You make no salient point in this column or article or whatever you want to call it. Outside of Letang, Pouliot is their most talented defenceman, it's not even a question. He is the best passer on the team and his skates as well as any of his fellow d-men. The problem isn't him, it's how the team has used him. He is an offensive defenceman that is not getting a chance to use his skill set. The better question is why are Sullivan and Rutherford intent on jamming a square peg into a round hole? They have a young mobile, puck-moving defenceman who thinks the game well - a commodity that every team wants. So insetead of giving him an increased role, which he earned by the way, they bring in Schultz, who was having a historically bad season. If March is too late to develop a prospect, why is not too late to try and reclaim damaged goods? One can only hope that, for Pouliot's sake, he is traded in the off-season to a team that will use his skills properly.